Although I praised the previous volumes quite a lot, this volume actually brings more question than answers. Though, there are some good aspects to it as well. Starting off, I think the conflict between Sorey and Rose’s ideas of salvation is actually done well. 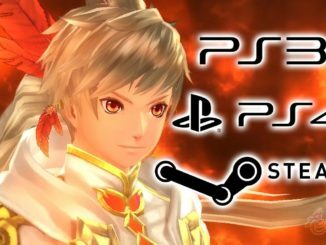 Sorey is innocent and naïve, so he believes that purification will save people from suffering. Rose is a bit jaded, but believes that killing can also be salvation. What they want is initially the same, but they use different methods to achieve their goals. At first, Sorey is reluctant to accept that due to his sheltered nature, but after seeing Rose being unable to save Lunarre from suffering, he realizes that what they want in life is basically the same, which is why he accepts her method. Their talk about their journey and how it can lead to new answers on salvation is actually very bittersweet seeing how Sorey has to go to sleep and wakes up in a time where Rose might not even be alive anymore. I do like how the manga helps me understand the things I was confused about in the game. In the game, I always found Rose’s method weird. She kills, yet she isn’t corrupted. I think the manga helps me understand Rose’s methods a lot better. She’s killing because she sees it as a means of the end. I think the human characters are a good balance of each other. I like to compare them to canvasses. Sorey is a pure white canvas that an artist just bought and wonders what to paint. Alisha is a canvas that has some paint marks, which symbolizes the stuff she has seen in the world, but still remains in pristine condition with no dents and rounded corners. Rose is already a painting; it’s hard to see the original blank canvas, but knowing that it came from a clean canvas makes it a pretty picture. Moving on, Dezel’s story of revenge is done well too. I think Shiramine fleshed it out well. In the game, he rambled on about revenge from his first appearance, but never dwelled on it until he encountered Symonne again. I think that the revenge plot appearing right after Rose is unable to save Lunarre is actually pretty interesting given how similar it is to the game. It doesn’t feel rushed, but more like an inclusion since Symonne and Lunarre seemed to be working together for the most part. The way Dezel’s death was written makes it more bittersweet. The game makes it sad by Dezel ascending towards heaven, symbolizing that he’s leaving. For the manga, Dezel chases after Rose and apologizes for what he had done to the Windriders. She forgives him and then tells him she’s glad to be able to meet the real Dezel, Lukeim Yurlin (Dezel with Unclouded Eyes). Then, he disappears. When I read this, that bittersweet feeling wouldn’t leave me. I like the gentle writing Shiramine has done, but it left a solemn feeling afterwards since it could have been prevented; though, if prevented, Rose’s backstory wouldn’t have happened. I’d say that the Malevolence being really bad in Zestiria’s world shows in this scene since Dezel, a seraph, couldn’t prevent the events from stopping due to his blessing. After Dezel’s death, the mourning is short because Dezel wants Rose to keep moving forward, which is akin to the wind since it always moves forward and never back. After Dezel’s death, the rest of the story focuses on the last important aspect of the plot: Going to Camlann. 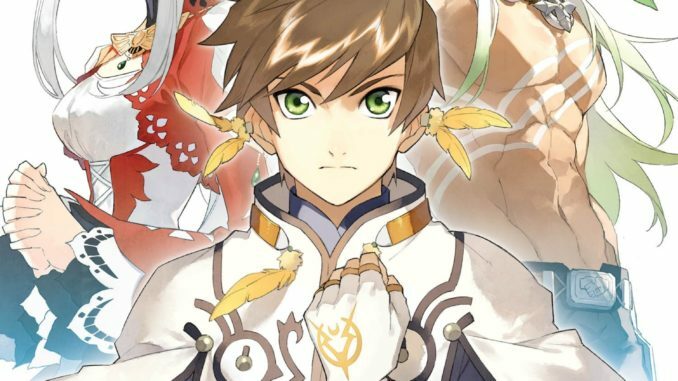 After exposition on Maotelus and Shepherd Michael, Sorey’s predecessor, we go to Camlann…but, we need to know where that is, so the group goes to Hyland to seek some answers at a ruin. Alisha’s knife comes in handy (she gave it to him in Volume 3) as it duel functions as a key (thank goodness it doesn’t shoot out laser beams like it did in the anime). I thought Iris Gems were only a game mechanic, but one does appear to show Sorey and friends flashback of the Camlann incident. The flashback is still the same as in the game. The only difference is that we get to see what Sorey’s mother, Selene, looks like. After viewing the flashback, the group starts having their final talks before heading towards Camlann. Sorey talks to Alisha, who is unable to see the seraphim, but does her best to tend to Uno’s domain by making a cup of holy water his vessel. Their conversation about stars and shepherds is really cute. It’s like saying the stars in the sky are like shepherds. Uno and Mikleo talk about the latter’s growth. I think they’re quite an interesting pair, but understandable since they’re both seraphim of the same element. Rose and Lailah encounter Symonne who tries to taint Rose, but fails. She asks for forgiveness, which is an abrupt ending for Symonne’s plotline. I guess it’s unfortunate because Symonne is always shafted. I really do want to know why she’s the way she is, but it’s never explained (not that I remember). She doesn’t seem to be loyal to Heldalf at all. Zaveid and Edna talk about their honest feelings (not for each other). Zaveid tells her to walk her own path and leave Eizen alone for he already found his own peace being a dragon. Though, the Eizen subplot is never really touched upon in the manga, but Edna’s journey did allow her to leave the comforts of her home to help Sorey. I’m not sure about her future in the mangaverse. The final location and battle is basically the same as the game, but with a few tweaks. First, we see Zenrus already in the midst of battle with Heldalf, but dies and gets absorbed. This is quite brutal since Zenrus’s death was off-screen in the game. Second, Sorey does not break a piece of land that separates him and Rose. The land already moved and Rose tells Sorey to finish his goal. Also, the final showdown between Sorey and Heldalf isn’t with the Lord of Calamity, but with Georg Heldalf, the human form. I like that touch. Third, as Heldalf dies, he sees Selene in Sorey. 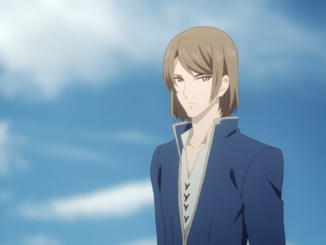 Since Selene was pregnant during the Age of Calamity, it is heavily implied that Heldalf is Sorey’s father. I was shocked when I read this. Though, since this is just a manga adaptation, how much of the manga is canon is debatable. The ending just leaves a rather bittersweet feeling that is present in the game. The group goes on with their lives. Rose’s future in uncertain, but she’s most likely the Shepherd after Sorey, just like in the game. Lailah is waiting for a new Shepherd to appear. Edna and Zaveid confront Eizen. Alisha is making peace with Rolance. Mikleo writes a book like he wanted to in the game, and then continues his travels with Sorey who is most likely a seraph now. A lot of the sidequests in the game are adapted out, but they are optional to begin with. It makes me wonder if they are or aren’t canon. The two most important ones that I know of are Maltran being a hellion and killing Eizen (A VERY HARD BOSS FIGHT). 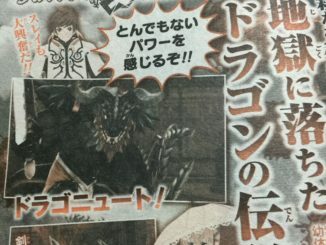 They do provide important additional details and unlocks important stuff, but not putting them in the manga does seem like a good idea with the way the author needed to squeeze everything in (though, my personal favorite is the Dark Turtlez sidequest since that boss was hard as heck, but defeating him was pure joy). Do I like this final volume? I do, but not as much as the previous one. It does end the plot well, but it makes me have more questions. Though, that was how the game was like, so I’m not going to complain too much. Overall, Shiramine’s whole storytelling of Tales of Zestiria was a great adaptation. I think it’s best to not compare it to the anime since the anime is its own adaptation in itself (also, the manga came out before the anime, which was why there’s a lack of Berseria exposition). I wonder what this manga would be like if it was released after the anime. Would it be the same? I think it follows the game well and does not shoehorn things. Would I recommend the manga? I would to people who played the game. I think it would help the game players understand the game’s plot a bit more. I do not think any adaptation is superior over the other and I like them all equally.